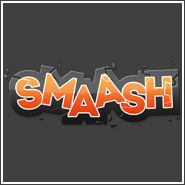 Smassh.me is a new web service for sharing your gaming moments. What does that mean exactly? It basically lets you track your game collection and plays, in a very user-friendly manner. The site is in Beta right now, though that really doesn’t mean much nowadays. Right now I can’t really recommend the site, as other sites perform the same functionality better. You never know, though. It may take off if they can create something new and exciting to draw in players.